View Poll Results: Would you be interested in a series 2 turbo kit? I would be very interested in this kit, but not immediately. As long as I have a warranty and my only other vehical is nearing the end of it's reliable life, I'm not gonna do anything to my car that would void my warranty. In a few years, though, I'm in. They said no immediate plans, but hopefully they have eventual plans. I'm no market expert but they would probobly get better sales after some S2's run out of warranty anyway. Same here. I'll be ready in about 2 more years. It all depends on how long the series II RX8 remains in production imo. From what I've read, everyone here seem to have something against piggyback, was the emanage that unreliable for the Series I? I know plenty of people that run emanage fine (on piston motors mind you). If in 2012 they dump the RX8 for a sucessor, or change the PCM. I really can't see performance companies spending the money to crack the pcm. We might have to do it the hard way and crack it ourselves. If the emanage can be reliable with a wideband attached, I don't see why we shouldn't try to run it in the interm. Does anyone have a side by side wiring difference with the S1 and the s2 I have a Emanage and i am willing to try to get it working .... on a non turbo . and you might ask why a non turbo i belive it is the best way to start toying with tuning with out having to much in the way / complications. If anyone has a link to the service manuals, I need them as well. I found some wiring diagrams how ever it will be a while till i get to try to install this it is cold out side and no garage. i will update when the warmer weather comes around. My thoughts exactly. I would be really surprised if anyone does it for the S2. There are not a whole lot of them compared to S1. Unless I am wrong about the amount of S2s out there and then the niche with in that number who would consider something like a Cobb unit. Creating a diminishing profit margin for whoever decides to actually do the leg work and crack it. I hope they will but I will not be surprised if they did. I added a poll. (something I should have done a long time ago) The email stated if there was enough interest they would entertain the idea of developing one. Where would one start if he wished to crack the PCM himself? Last edited by c_ls; 01-17-2011 at 07:17 PM. Thank you for voting. I have sent this thread address to GReddy. It would be great if we can get more Series II owners to vote. I consider the amount of people decent since people only seem to come to this forum by accident. I see more S2 owners posting in the S1 forums haha. sweet deal! hopefully you'll hear from them soon. If anything they should make a more improved version of the s1 kit especially the emanage b/c I hear from many that its not the best thing out there. They should post a what-if thread for if they actually produce a turbo kit for the s2's. Maybe people would thinks its even more legit hearing from the actual company....COME ON GREDDY GET WITH IT!!!! Wonder what this car used for tuning? So any news on the Turbo kit? I know this is about the greddy turbo kit, but if Greddy is watching, maybe they could just come out with ANY way of tuning the S2, and they would have a monopoly on that product. The Esmeril guy said their turbo kit bolts right up to a S2 (just with no way to tune it), so Greddy may not even have to engineer a new turbo kit, just figure out the tuning problem and package that with the existing kit. 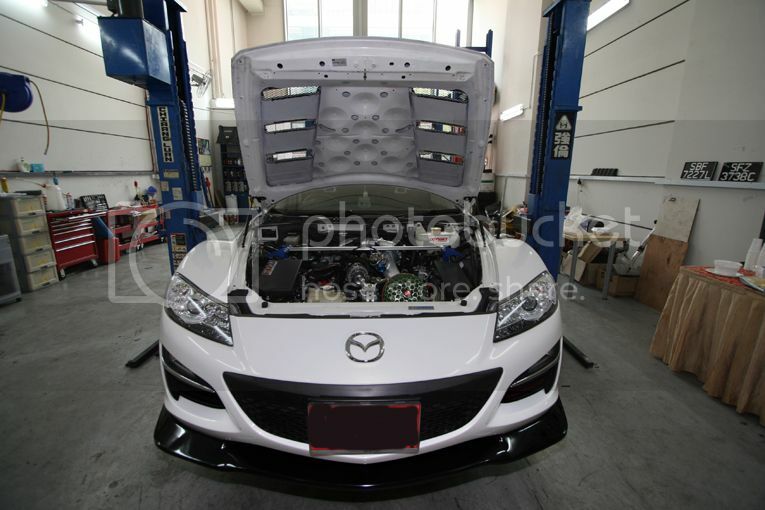 Even apart from the turbo, the tuning stuff would be desired by all of the somewhat few people out there with a newer Rx8 they are looking to tune. Still probobly not enough to make a profit just yet, but it sure would be nice. and when are we gonna hear this story? Agreed. I'd even expect to pay a little more to cost shift a little off the r&d expense. A MM tuned Cobb for an S1 is sub $1000, yes? Something with a little user interface and presto. If we could lock a Cobb engineer and a Greedy rep in a boardroom w/ a espresso maker and a few good ideas. I will be at Harris Hill at the end of the month to a Roger Beasley Mazda event. The Cobb rep for Mazda will be there and I will make sure to point him to these threads, again. It has been a year and no response from GReddy. With the discontinuation of the RX8 I think we can assume that there is going to be no product. I would like to be wrong about that though. That air intake is WRONG! There is probably a reason cobb gave away(or sold, whatever happened.. not sure) the rights to distribute cobb tuners for series 1 rx8s. Perhaps cobb saw that there was not enough money to be made? If they felt that way about the series 1, the series 2 is going to be even worse. Maybe I am misunderstanding the situation with that, if so enlighten me. I would love to have the cobb for my car, I would buy it before any other mod. If that happens(it wont) I just wish there were other GOOD options, rather than the same person tuning all the s1's via cobb. I mean right now there is basically only one tuner people go with for their s1's, right? Unless they do it themselves. That would be the only thing holding me back from a purchase if it were even available. Should I buy a shell? Stage 1: When did you install it and how do you like it? S1 Greddy Turbo kit fit S2? 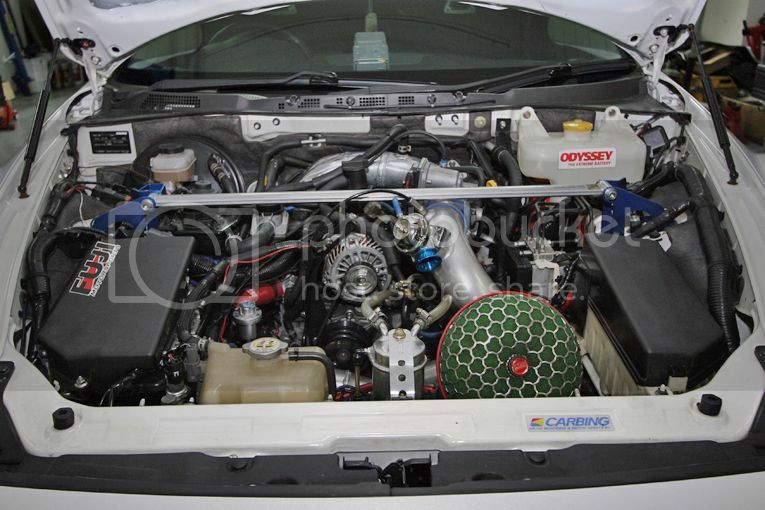 Quick Reply: Greddy turbo kit for S2 possibility?